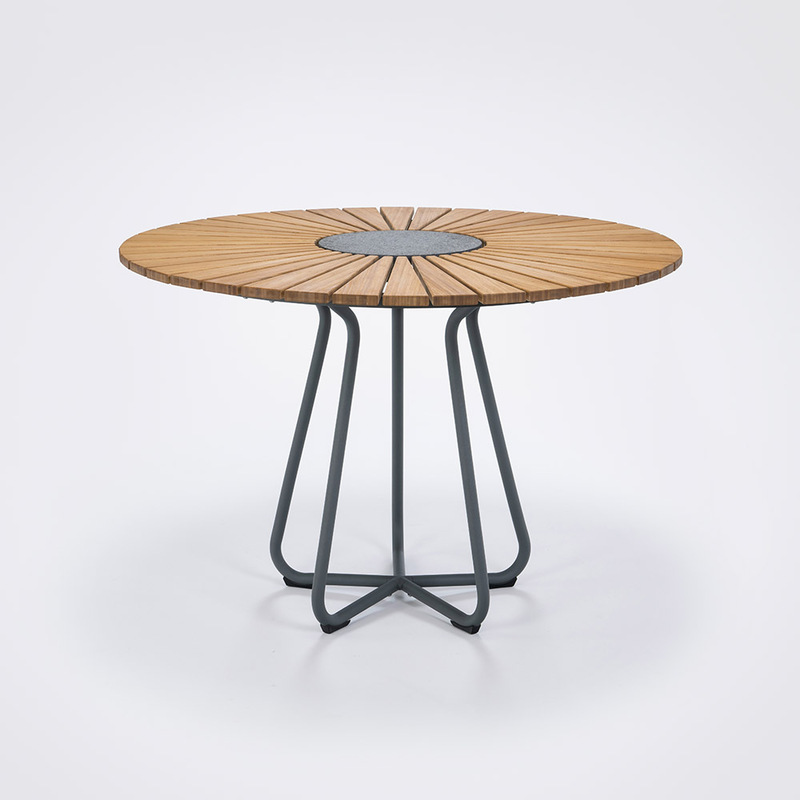 CIRCLE table for outdoor use Ø110 cm with table top lamels in bamboo and leg construction in gray powder coated aluminum. 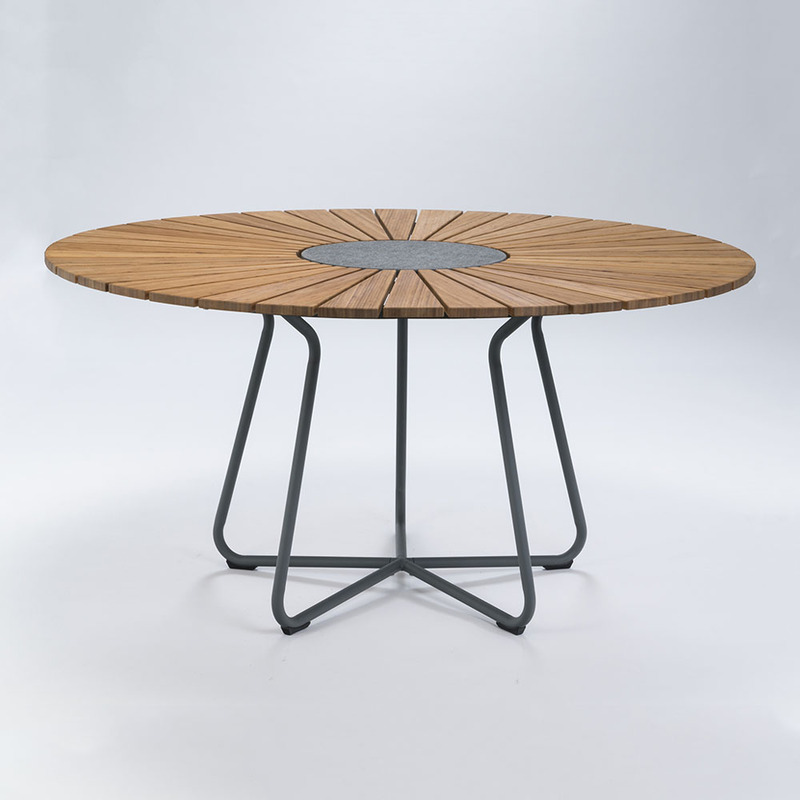 A beautiful and well proportioned dining table for your garden that enables free seating as the leg construction is drawn in under the table to provide comfortable legroom. CIRCLE Ø110 easily seat 6 people around the table. Decorative granite stone in the table center for hot pots. The bamboo table top is pre-oiled.